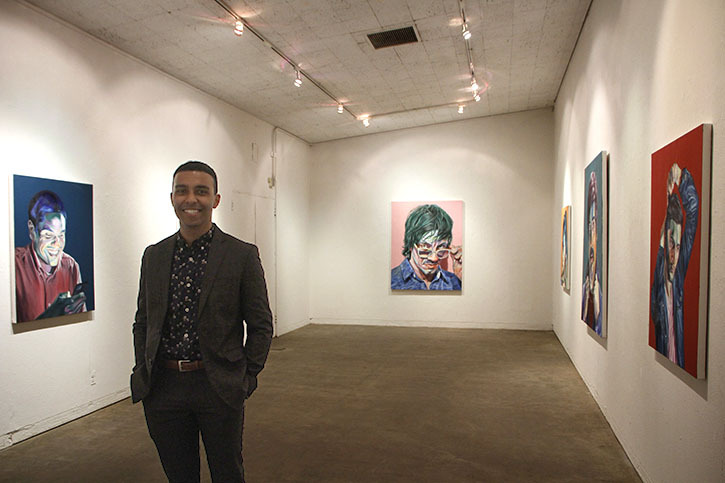 Mustafa Shaheen looked like a million bucks as he walked hurriedly around Witt Gallery, making final preparations for the opening of his first solo art show, “Friends and Sometimes Friends.” On a small table by the entrance was a pencil-drawn image of celebrity chef Guy Fieri, screaming. The picture was titled “Welcome To Flavortown.” Like Fieri, Shaheen attended American River College. Unlike Fieri, everything else. 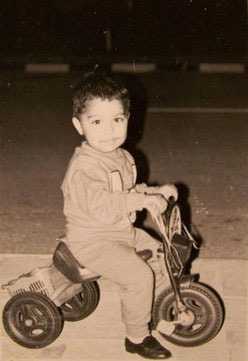 Born in 1985 in Egypt, Shaheen remembers his early life being centered around the concept of family. In fact, the majority of his family lived in the same building owned by his grandfather, who gave each of his children a section of the building to begin their families. “I had a ton of cousins. English was my first language, but I picked up Arabic just playing with kids,” said Shaheen. Shaheen and his parents, along with his younger brother, moved to Qatar, where both of his parents worked. But they wouldn’t be there long, before having to move to America in 1996 as political refugees after his father, a firefighter for Qatar’s Royal Navy, unsuccessfully tried to blow the whistle on a string of corruption that he had seen. According to Shaheen, co-workers of his father were stealing military equipment and selling it elsewhere. His father was jailed by Qatar’s military until he was released on the condition that he and his family leave the country. “When you’re 11, you don’t really think about how deep that s— is in any way. You’re just like, ‘Oh, my dad’s in this weird solitary jail facility and I have to visit him once a month,” said Shaheen. None of this was hidden from Shaheen as a child, which he sees as a good example of the differences between Middle Eastern culture and America. “There is no coddling with children (in the Middle East). You grow up fast and mature quickly there,” said Shaheen. When the Shaheen family first came to America, they settled in Visalia, California, which was approximately one-fifth the size of Qatar in 1996. Mustafa remembers two things becoming very apparent upon arrival: the Power Rangers were two generations ahead of where they were in the Middle East, and at 11 years old, he had a lot of navigating in front of him to fit in. Added to that stress was the fact that his parents didn’t qualify for the same jobs they had at home. His father became a motel manager, and his mother had to re-train for two years to become a nurse. They separated when Shaheen reached sophomore year of high school, the same year that two planes flew into the World Trade Center, and America was plunged into a period of Islamophobia that it still has not recovered from. “I remember walking to campus (on Sept. 11). The second plane hadn’t even hit yet. This random kid from my grade said, ‘Why are your people doing this?’ … How am I supposed to respond to that? While America was changing after that day, Shaheen’s new home was changing the course of his life too, as a person and as an artist. Shaheen and his mother, Nadia Yousufzai, both say he picked up drawing when he was 3. They also agree that if he had never come to America, he wouldn’t be an artist today. While Shaheen may have never been an artist in the Middle East, his origins do hold a place in his craft. 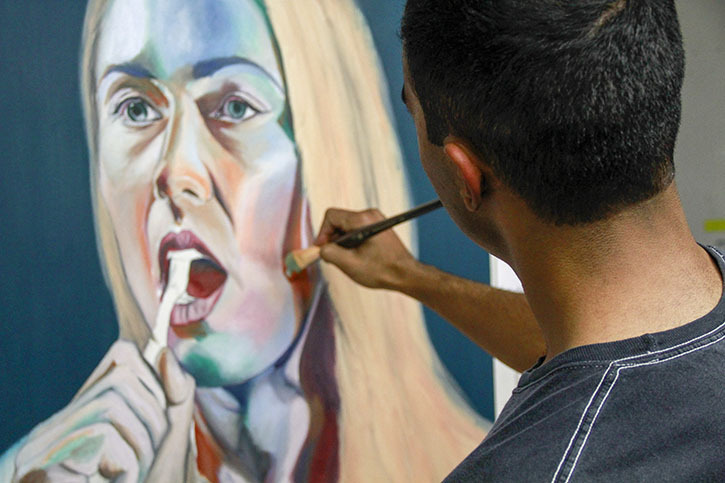 After initially struggling with using more creativity and expression, Shaheen, a portrait artist, has found a medium between what he calls a “Middle-Eastern practicality” and inventiveness. 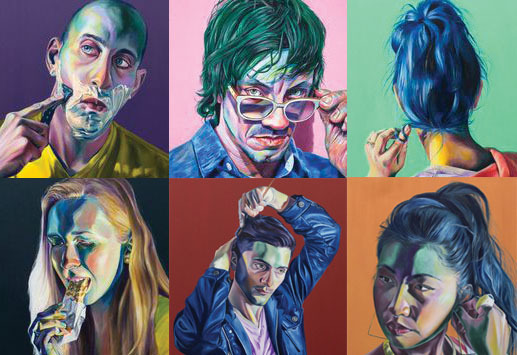 Shaheen’s portraits are hyper-realistic, but painted with vibrant colors. According to the artist himself, the reality is here to stay. All of the visitors to Shaheen’s gallery reception had something to say about him — many called Shaheen their best friend. Over and over again, any of Shaheen’s friends will tell you about his work ethic. It’s legendary, and the one reason for his success, according to Ian Harvey, a professor and mentor of Shaheen’s at Sacramento State. To Shaheen, his work ethic is just a result him being grateful for his opportunity. That hard work extended to his opening night at the gallery. More than 30 people came through the small gallery throughout the night, a number Shaheen was ecstatic about. His mother saw past the smile just a bit, though. “I think he’s very happy, but nervous at the same time,” she said. The last time Shaheen and his mother went back to Egypt was after graduating high school. When he got there, he felt off. But now, in the land of success and excess, Shaheen is working harder than anyone, just so he can better than everyone. In the end, Shaheen drew that Guy Fieri picture on a whim. He didn’t even know they both went to ARC. 1 Comment on "Mustafa Shaheen: Portrait of an artist"
I admire the portrait of Trevor I saw in the Else Gallery at CSUS some weeks ago. That I have made a point of remembering your name lets you know your work has made an impression. I had chatted a few times with Trevor as he worked in the gallery, and met his mother the last day of his grad show and titled with her (just for our amusement) his angled wood offerings, I was struck by how you had caught him in your portrait. Your name is worth knowing!